Another service that we provide is the holding of keys for safe keeping. This service incorporates the collection of building keys and access cards along with any passcodes for secure handling of the items. Our keyholding service provides security for your valuables. Maintaining the secure holding of your property at all times is our goal. The service we provide also includes secure lock up and unlocking service at designated times during the evening and mornings. 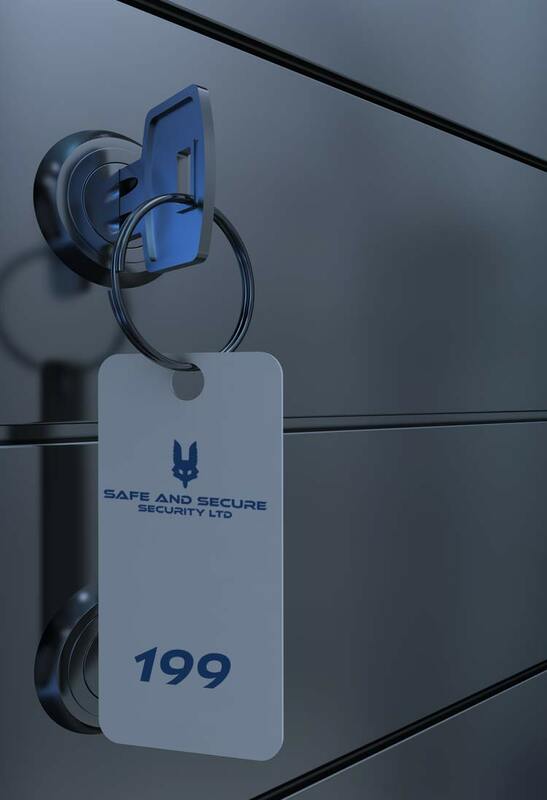 We also have an impressive keyholding safe at our headquarters, where we will and can hold keys at this location overnight or extended periods of time, depending on your requirements. When you need that extra security for your business you can count on safe and Secure Security to provide everything you need in one place. If you don’t see a service that you want on our services page contact us for a more detailed discussion on what we can help you with since we also provide bespoke security solutions. For instance, if you have employees that access or leave your building at odd hours we can also provide staff escorts to and from the building to their vehicle or a set point if catching public transport, an added courtesy for choosing Safe and Secure Security. We believe in offering a unique and personal experience when dealing with your safety, so when you partner with SAAS Security, we will always tailor our service package to match your needs. Our service is available 24/7 and 365 days a year, so no matter where you are, day or night, you can rest assured that your property is being guarded by the best professional security personnel.